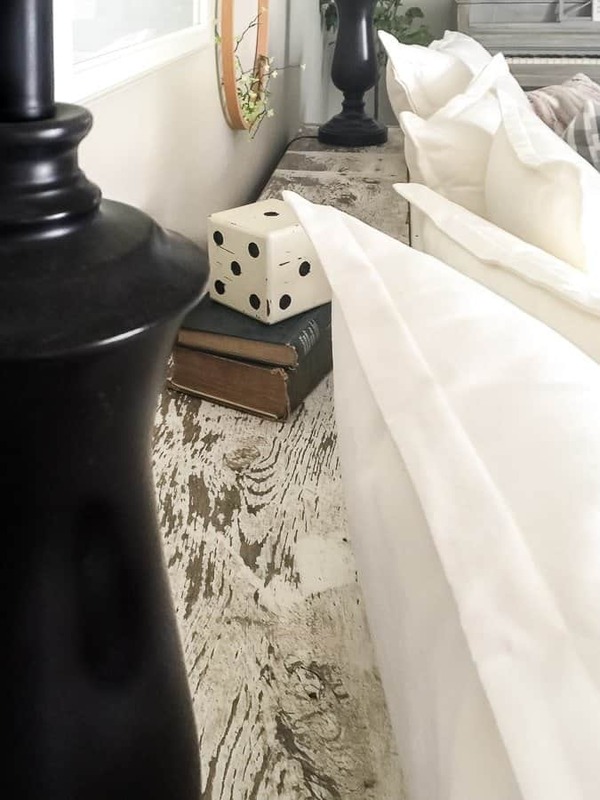 Easy small room ideas for decorating, furnishing and styling! 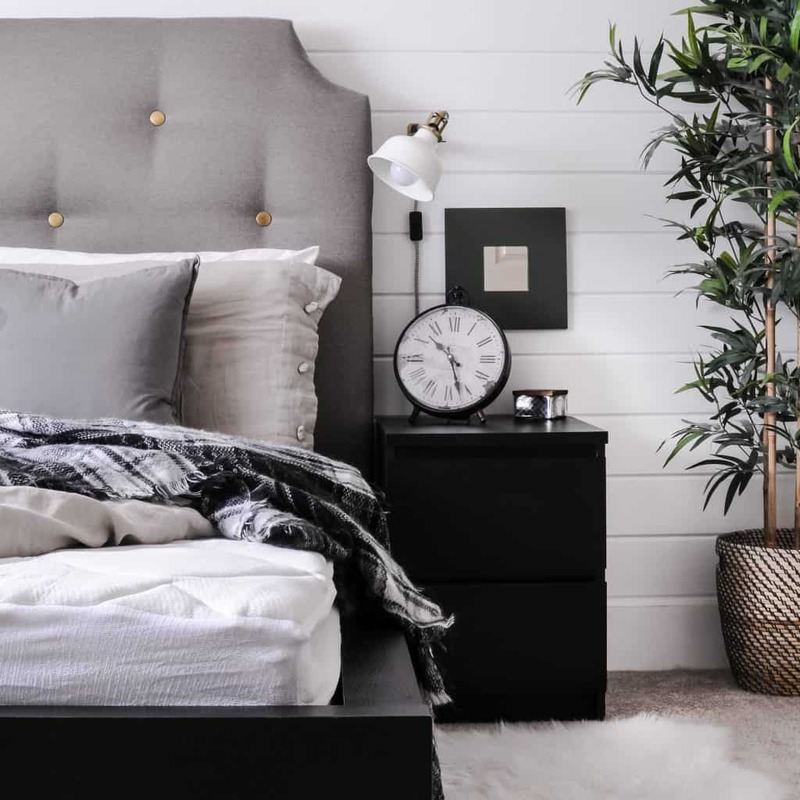 These simple tips will teach you how to make a small room look bigger. At 1400 sq/ft, many people would consider our home small. 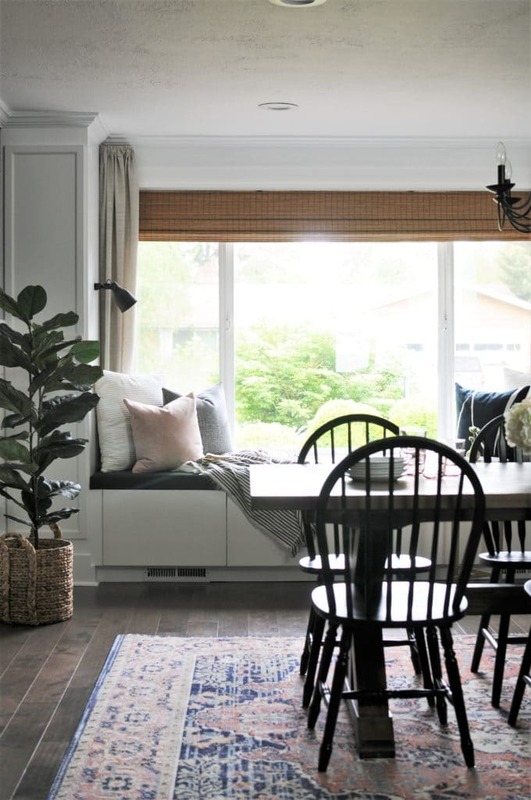 And while it’s not the largest home on the block, I love the size of our home and have learned quite a few tricks for making our small rooms look bigger. 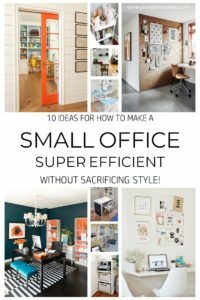 Decorating and furnishing a small room is a bit of an art, so I’m here to teach YOU some of my favorite small room ideas! 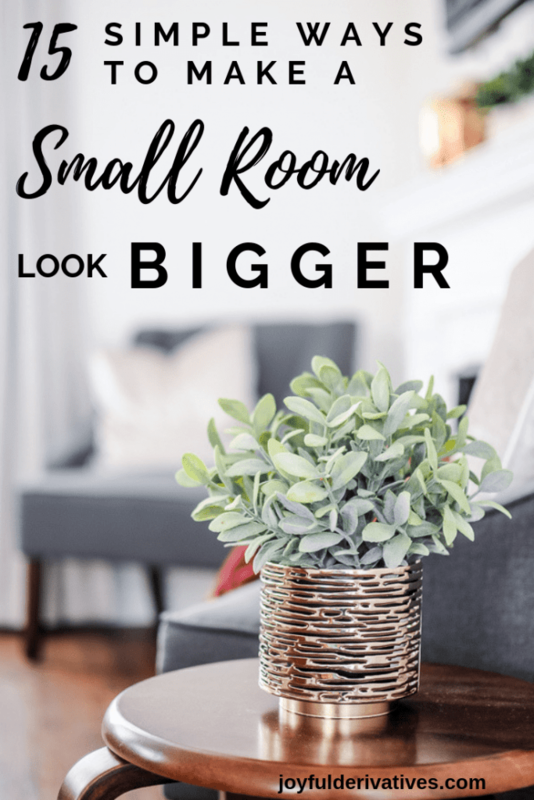 I hope this helps you learn how to make a small room look bigger in your home! One of the easiest way to make a small room feel bigger is by choosing to furnish it with furniture that can be used in more than one way! 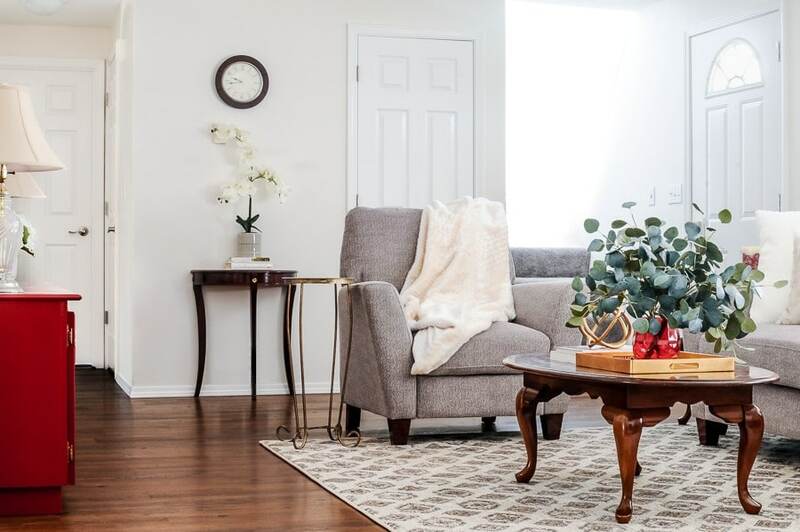 For example, get an ottoman that can double as a coffee table with a tray, or a stool that can function as a side table but then later be used as extra seating. When selecting large furniture items, like couches or beds, go for the smaller scale options like love seats or platform beds. Furniture with legs give the appearance of extra space. Use them to achieve an open and airy feeling in the room. If you only one corner in the small room, try filling it with a sectional. 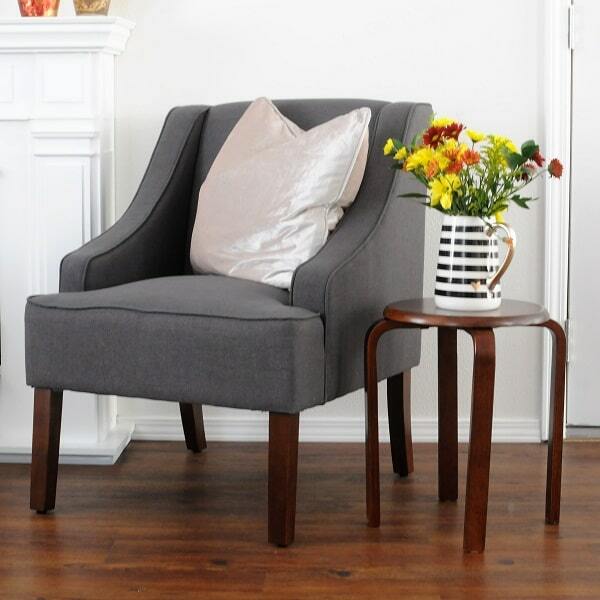 This will seat lots of people but feel like just one piece of furniture so the room appears less cluttered. 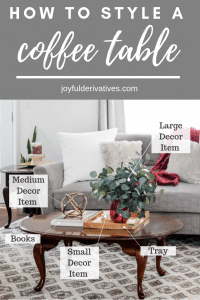 Coffee tables quickly fill in the empty space of a small living room and can often make the room feel cramped. Alternatively, try a sofa table behind the couch or small side tables at either end. 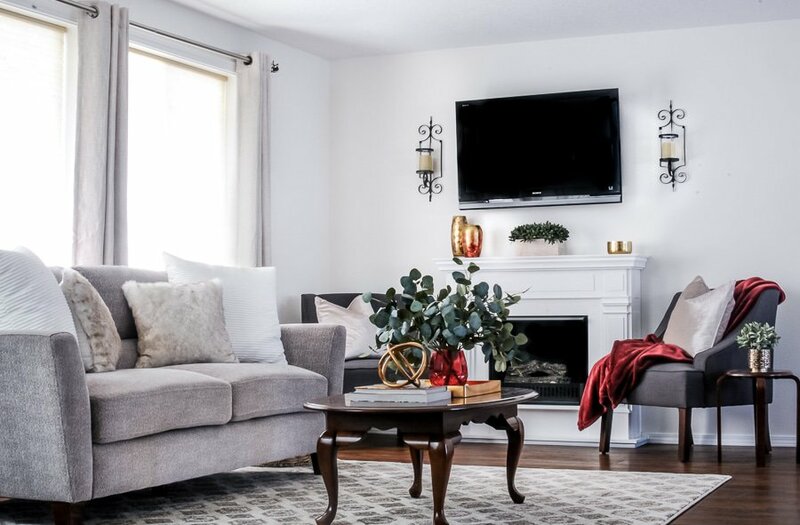 Many people feel like the front of the fireplace needs to be clear at all times, but one of my favorite small room ideas is to place an ottoman in front of it! 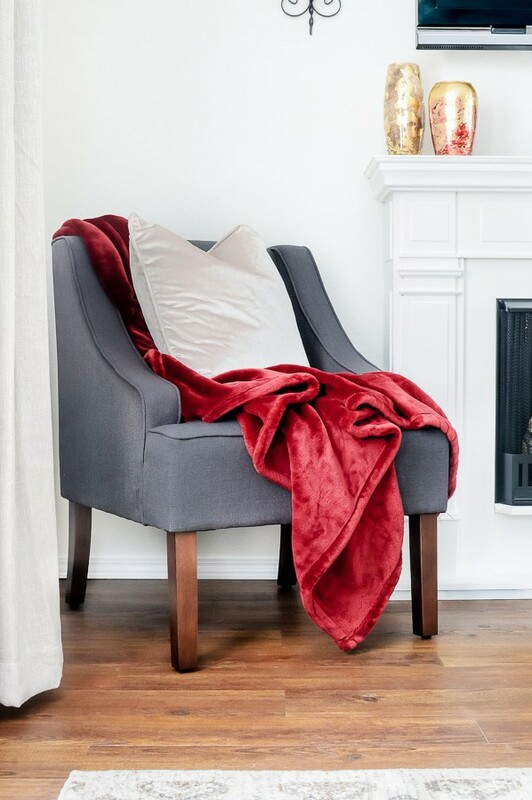 You only need the fireplace area clear when you’re actually using it, and many times that’s a small fraction of the time you’re in your room. 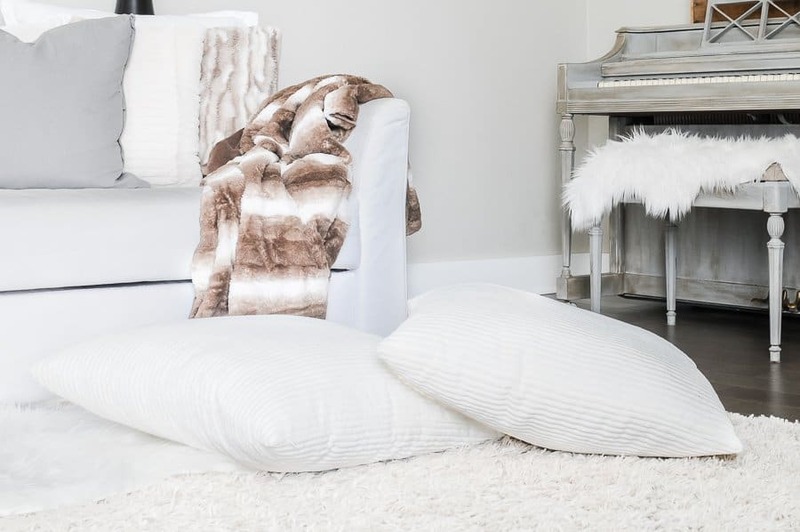 Try a storage ottoman to add extra function and store your extra blankets or even movies in it! Built-in furniture, like a window seat, can take a large wall and make it extremely stylish and functional. Take advantage of the fact that built-ins give your small room extra storage! One of the biggest mistakes I see people making when they furnish a small room is putting all of the furniture along the walls. Instead, try grounding the space with an area rug and then float your furniture in the middle of the room! Many times this can create better traffic flows and make the space feel more intimate and intentional. Clear furniture, like this acrylic coffee table, can give you the functionality without the visual barrier! 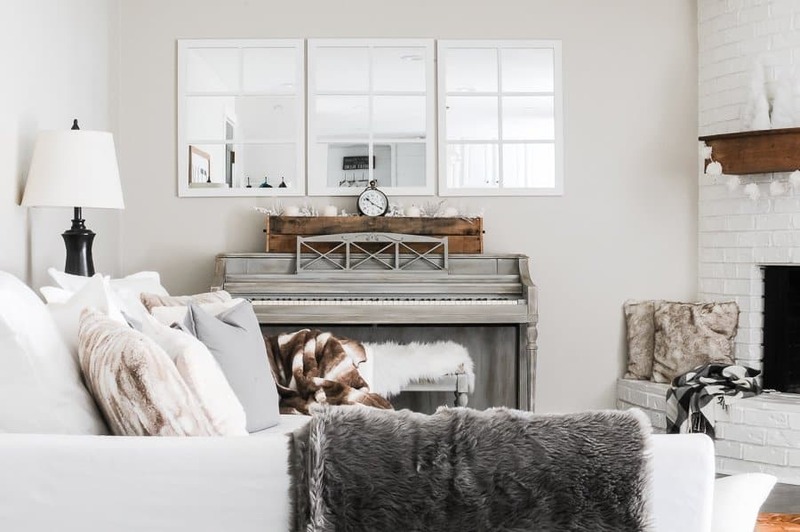 Hang mirrors on walls that don’t get a lot of natural light and the mirror will reflect the light from the rest of the room making it feel bigger! Try installing an area rug that extends to 18″ from each wall to define the room and give the space an intentional dimension. 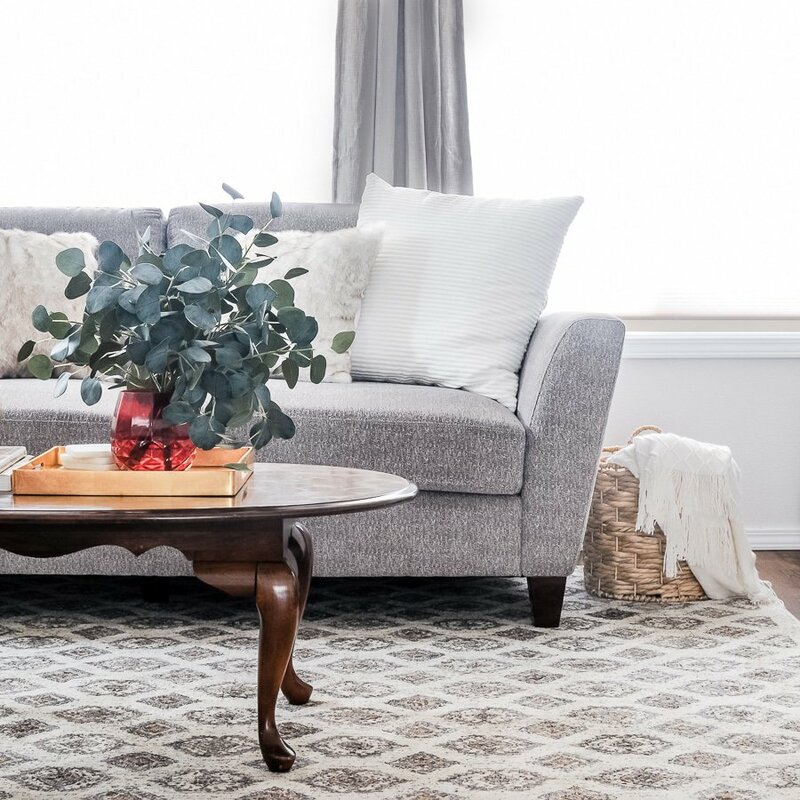 Place all of your furniture on the rug to create a cozy space. Curtains that drape the entire height of the wall will create the illusion of taller ceilings. Try a color similar to your wall to help them blend in and make the small room feel bigger. Light and bright colored walls are a simple idea for how to make a small room look bigger. The lightness opens up the space and bounces the light around making it appear larger than it really is. So, what do you think? Any other ideas you have for how to make a small room look bigger? I’d love to hear your thoughts in the comments! DON’T FORGET TO FOLLOW ALONG! Thank you done if these I’ve never heard of. I agree with no bulky furniture. I have a small sectional and it’s so hard to furnish my living room without putting it again the wall, doorways and windows on 3 of the walls. Id love to pull it out from the wall like you suggest but we would have very little room. If it wasn’t such a nice sectional if get rid of it. Lol. I’d thought of selling it and getting a smaller sofa with a white farmhouse slipcover but Wow those are expensive! I also have like ceilings and I read you can paint them a glossy white to bounce off light. I’d think I’m going to try a semi gloss. If you have any tips on low ceilings I’d love to hear it.